KANSAS CITY, MO – OCTOBER 1, 2018 – The Mayor’s Christmas Tree Fund, Hallmark Keepsake Ornaments and Crown Center will debut the 38th edition of the Mayor’s Christmas Tree Ornament, “All Aboard,” which was designed this year by Hallmark Keepsake Artist Matt Johnson. Made with recycled wood from last year’s tree, the ornament goes on sale November 23 and gives back to the Kansas City community with all proceeds donated to the Mayor’s Christmas Tree Fund. Collectors and gift-givers can attend an ornament signing event with Matt Johnson at the Crown Center Atrium on November 28 between 12 p.m. and 2 p.m. Matt will only be signing the 2018 Mayor’s Christmas Tree Ornament during this special event. 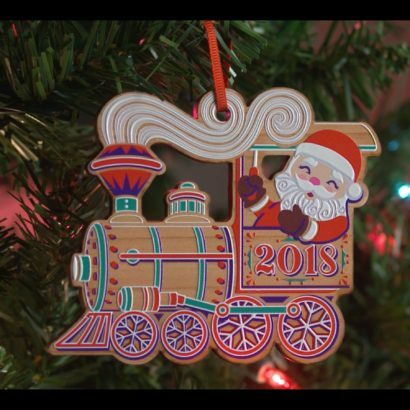 This year’s ornament, All Aboard, joins the collection of 31 other ornaments that have been recycled from previous trees to benefit the Mayor’s Christmas Tree Fund, a charitable foundation whose mission is to provide assistance to the less fortunate in Kansas City during the holiday season and benefits senior citizens, persons with disabilities, and underprivileged children. This unique and sustainable gift is available for $13.95 + tax and will be available for purchase at Crown Center Customer Service (located on Level 2 of the Crown Center Shops), along with ornaments from previous years. 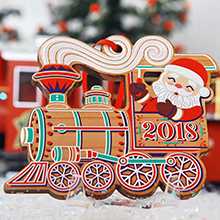 The All Aboard ornament is available for pre-sale online now. 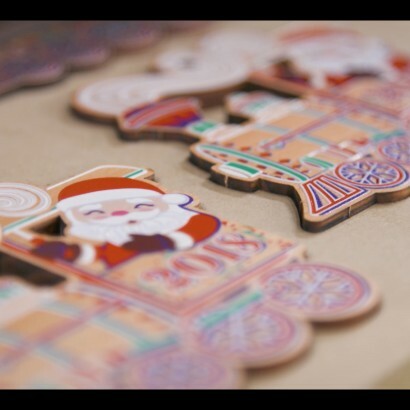 For more information, visit the Crown Center website and watch this video detailing the annual tradition and 2018 ornament. 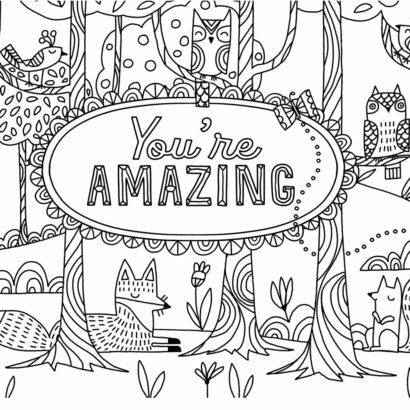 Images of the ornament can be downloaded here. “We are thrilled to work with Hallmark Keepsake Ornaments for the 2018 Christmas ornament, and give back to the less fortunate of Kansas City through the Mayor’s Christmas Tree Fund with the sale of these ornaments. For decades, the annual ornament has served as a symbol of Kansas City’s charitable spirit and a time-honored tradition offering friends and families an opportunity to embrace the magic of the holiday season,” said Stacey Paine, president of Crown Center Redevelopment Corporation. The Mayor’s Christmas Tree has stood at Crown Center as a symbol of the Mayor’s Christmas Tree Fund since 1973. The 100-foot-tall Mayor’s Christmas Tree, one of the tallest in the nation, is the centerpiece of holiday celebrations at Crown Center. The tree will arrive after a 2,000-mile journey through six states at 9 a.m. on Thursday, November 1 and be placed into its stand at approximately 10 a.m. on Friday, November 2. For more information about the Arrival of the Mayor’s Christmas Tree and additional Crown Center holiday events and activities, please visit www.crowncenter.com. Located on the southern edge of downtown Kansas City, Crown Center offers fine hotels, entertainment, dining, shopping, offices and residential living in the city’s burgeoning cultural arts and professional services district. The 85-acre complex, which opened in 1971 and serves as the international headquarters of Hallmark Cards, attracts more than five million visitors each year with two world-renowned attractions, SEA LIFE Aquarium Kansas City and LEGOLAND® Discovery Center, and boasts one of the largest flexible meeting spaces in the Midwest at Sheraton Kansas City Hotel and The Westin Kansas City. Crown Center is home to two theaters, MTH Theater and the nationally acclaimed The Coterie, and more than 40 shops and restaurants. 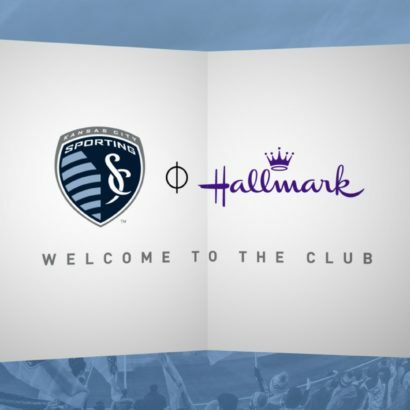 The complex is also home to Halls Kansas City, the region’s premier fashion destination. Visit http://www.crowncenter.com for more details. Connect on Facebook, Twitter and Instagram.